There is no doubt that camping requires a considerable amount of both physical and mental finesse. Have you ever experienced waking up with moisture all over your clothes and face, or even worse, with the ceiling on your face? Well, we have a strategy that should put you in your dream tent. The selection for a suitable tent may seem endless, but with proper research we are sure that the right tent will be easy to discover. Also, it would be ideal if you have the chance to see the tent and try building it. Have you ever tried to fit 4 people into a 4-person tent? Well, if you have then you definitely know what we mean by cluster phobia. Generally, the maximum capacity for these tents is considering that everyone will sleep on their side and not move. This being said, it is best to choose a tent that sleeps more people then you intend to actually use it for. By overcompensating the space, you have more comfort to bring your belongings into the tent as well. Also, be sure to measure everyone out or at least get a rough estimate of height prior to buying a tent. 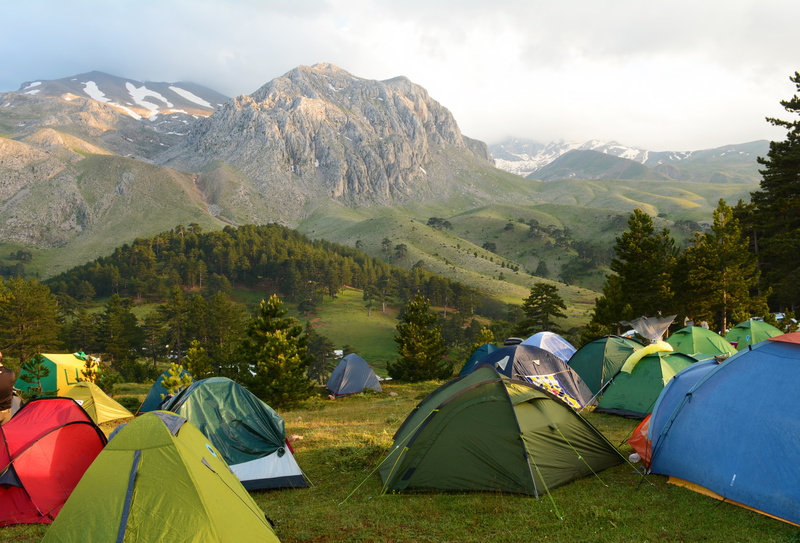 Several different tents will tailor to certain weather climates accordingly. A summer tent is lightweight, has great ventilation and can withstand very gentle rainfall. 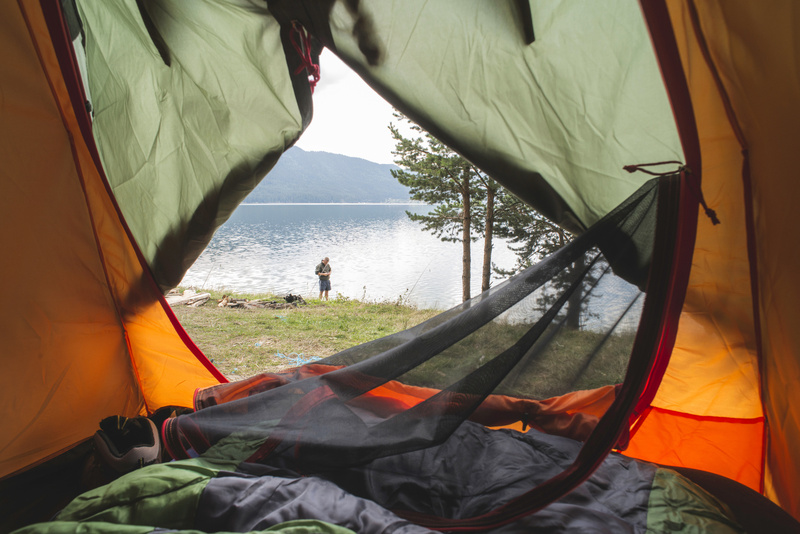 A 3-season tent will likely be ideal when camping in a more rugged environment where there may be rain, wind, and colder climates. And finally, for those of you who enjoy camping in the wintertime, it is best you get yourself equipped with a heavy-duty winter tent or expedition tent. These shelters can handle extreme conditions and dropping temperatures. In addition, all of these different kinds of tents relatively have distinctive levels of water resistance. Please be sure to check your weather forecast prior to your trip and/or tent purchase. If you have ever entered an outdoor equipment store, then you have seen those massive 10+ people tents. Basically, we see these tents in the stores and are in awe by how nice some of them look. On the contrary, how many people or how long did it take to build these masterpieces? This is crucial when deciding which tent to purchase. Depending on your level of experience, it is best to try and build the tent you want to buy prior to actually purchasing it. Another option would be trying to find a video online of someone building a specific tent, this way you are easily able to gauge how long assembly takes. Trust us, you do not want to be aimlessly building a tent for hours. This is a huge factor to picking a tent. For the most part, the pricing of tents is quite reflective of the quality you will get. The last thing you would want to do is to buy a cheap tent that can barely stay pitched for a night. Remember; do not be so easily sold by a sales person, as it is in your every right to find the most suitable tent. Another important thing is to set a mutual budget among you and your group, do the best to stick with it. 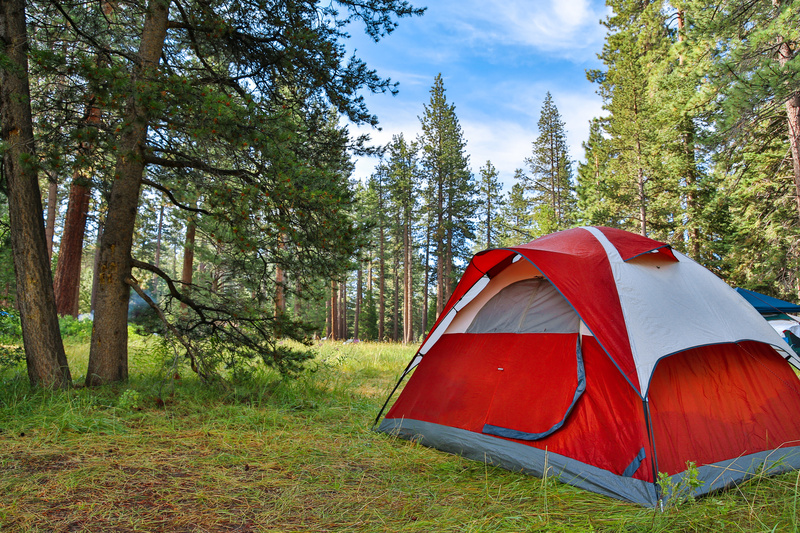 Generally if you are camping in more extreme conditions, be prepared to spend a more substantial amount then compared to if you were camping during a hot summer season. One of a camper’s biggest adversaries is waking up in a tent filled with condensation. The best way to alleviate the moisture is to open the rain-fly window that is equipped in most tents. Therefore, make sure that you pick a tent with the rain-fly and necessary ventilation. What can also help airflow is choosing a tent with a bit more space then necessary.